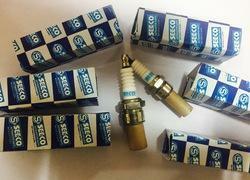 In order to cater the variegated demands of our clients, we are offering an excellent quality range of Spark Plug. Under the meticulous supervision of our highly skilled professionals, we are providing high quality range of Bike Spark Plug. High quality spark plug for brush cutter, chain saw, hedge trimmer, lawn mower, riding mower, pole saw and many more. Suitable forstihl, oleo-mac, greaves, tanaka, kawashima, mitsubishi, maruyama, marunaka, gps, ikra mogatec, honda, hitachi, hi-max and many more. 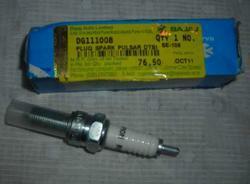 Being a quality oriented organization, we are involved in providing supreme quality range of Bike Spark Plug. Matching up with the ever increasing requirements of the customers, our company is engaged in providing Two Wheeler Spark Plug.